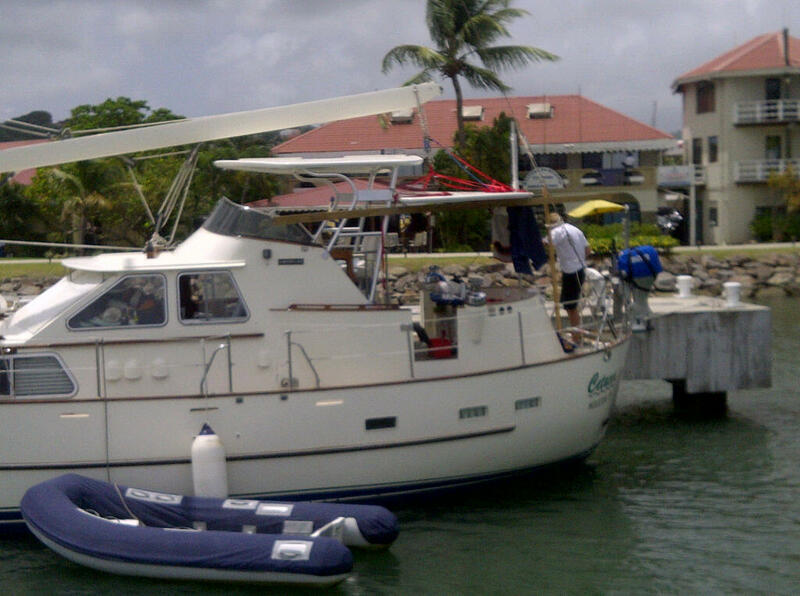 unique to you and your yacht. 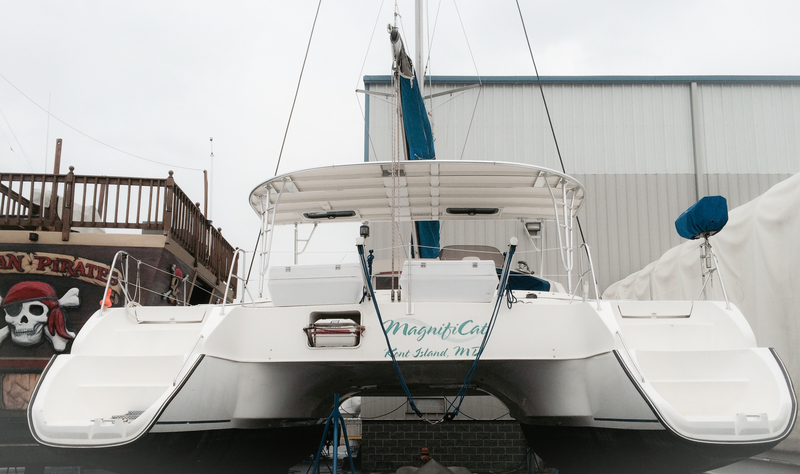 Atlantic Towers proprietary hardtop construction techniques make hardtop systems a reality for sailing vessels. Utilizing a family of unique custom aluminum extrusions combined with thin panels of hand laid fiberglass allows for virtually any shape any size hardtop system. 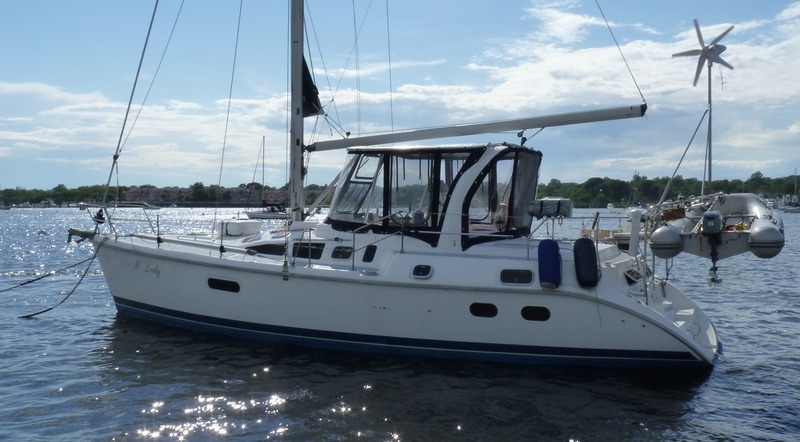 Practical for cruising vessels from 30+ feet to large cockpits on sailing catamarans. • LIGHT WEIGHT: A typical ATL 6 hardtop system weighs less than 2 pounds per square foot, including all support structure and mounting hardware. 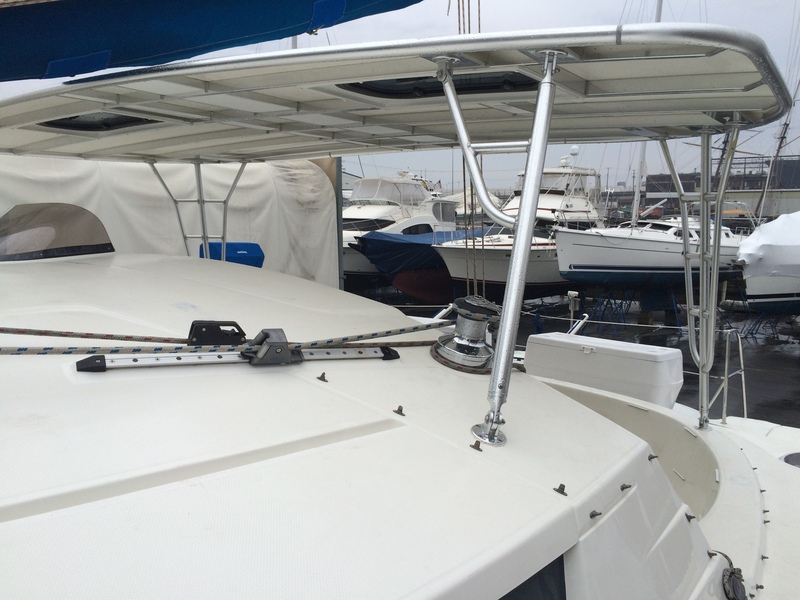 About ¼ to 1/3 the weight of traditional cored fiberglass hardtop systems. • GREAT VALUE: Typically one half the price of a molded fiberglass hardtop. • STRONG: One piece all welded construction, means no bolted connection between heavy fiberglass lid and legs. • FULLY ENGINEERED structure means no on-site welding and fitting. Atlantic Towers hardtops arrive ready to install. 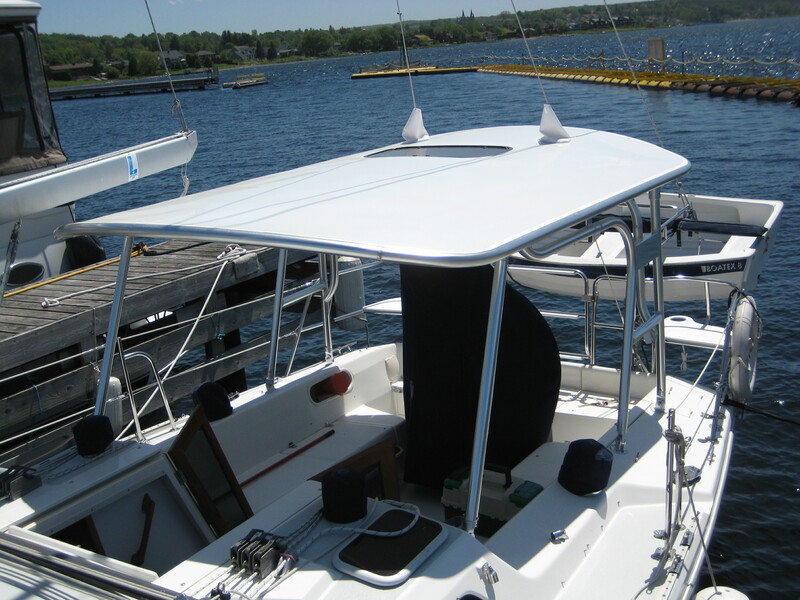 • ENCLOSURE fits easily in optional track system, with hardtop overhang to protect from rain and spray (dodger windshields and weather enclosure by others). • LONGER LIFE from your enclosure. 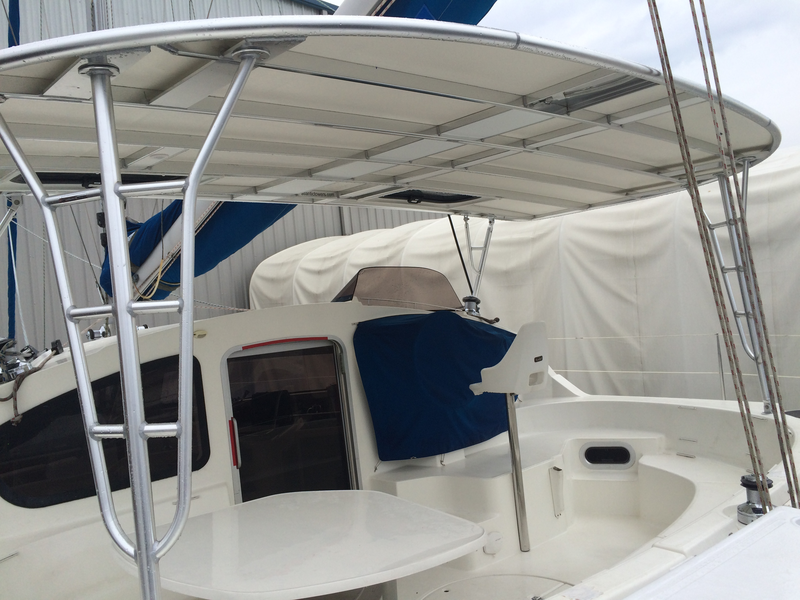 Fitting enclosures to a stable hardtop instead of a bimini reduces stress on zippers and fittings. 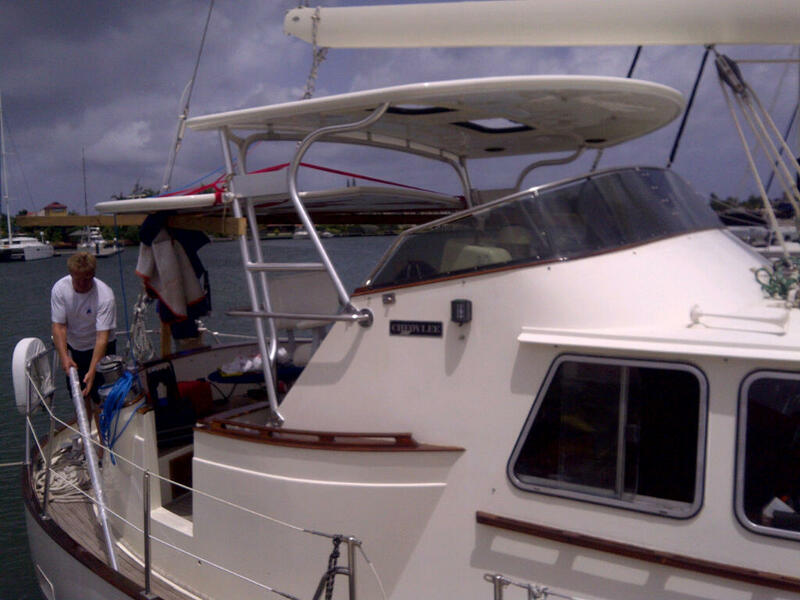 • REINFORCED to accept mounting of solar panels, access to the the rig, available non-skid walk areas for installing sail covers, etc. • CONCEALED WIRING: Exclusive ATL self trimming mounts and hollow frame allow concealment of cables and equipment mounting bolts. 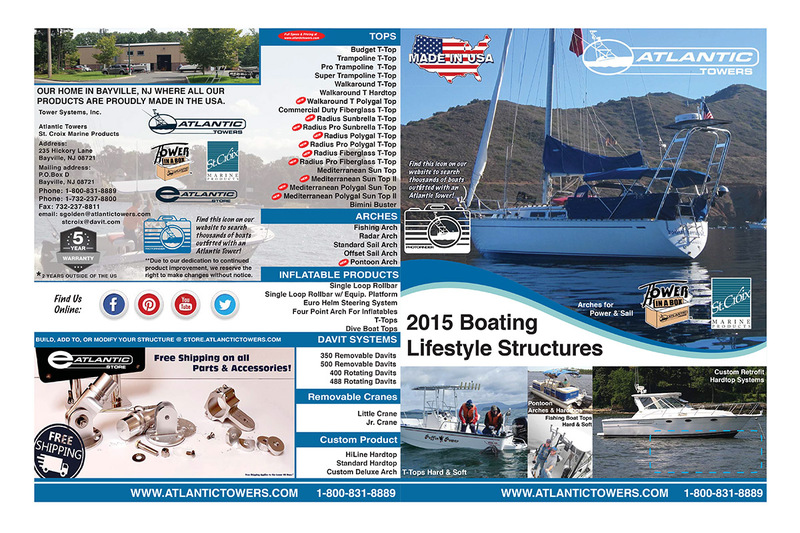 • CUSTOM DESIGN for each customer and vessel, with available built in sunroofs, ladders, back stay gaskets, etc. 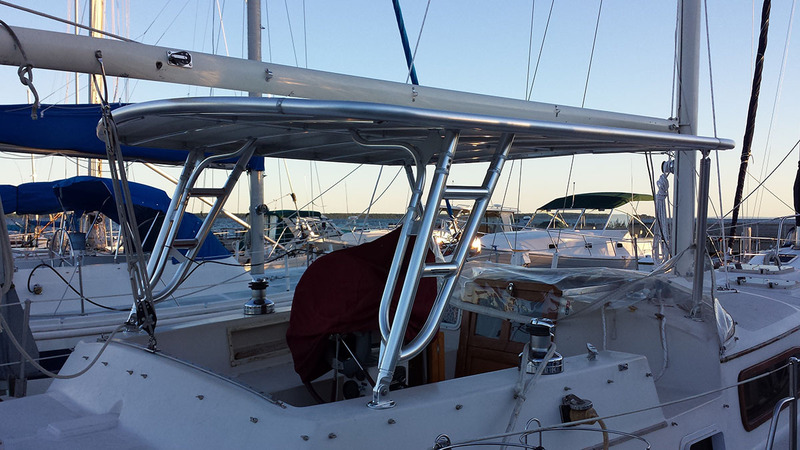 Design and Engineering for your hardtop system is part of every project. In most cases the cost of manufacture is driven by the size of the hardtop system, not it’s shape. We can normally provide you with a firm price quotation in a telephone conversation. 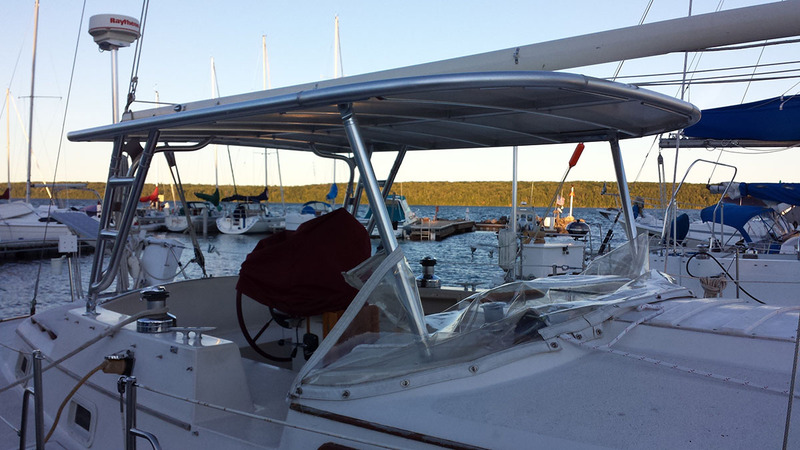 If you decide to move forward a deposit get’s the design process started and we will provide you with 3 view CAD drawings which are typically modified and tweaked until we reach the ultimate design for you and your vessel. 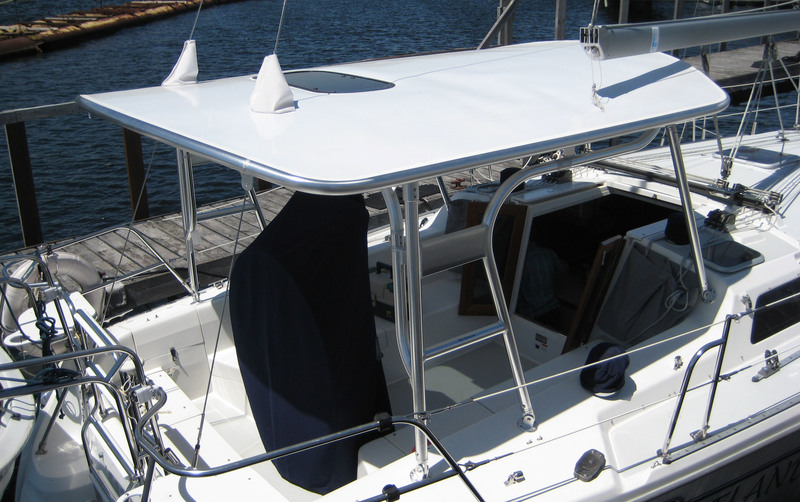 Atlantic's family of custom ATL self trimming aluminum extrusions allows for Custom Hardtops of fiberglass and aluminum to be constructed with out the expense of a mold or time consuming edge finishing.